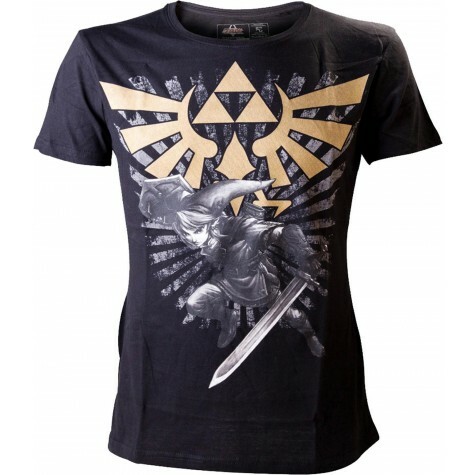 Zelda Men's Gold Link Logo Sword Figure Cotton Fabric Crew Neck T-Shirt Black. This T-Shirt is made from high quality, 100% cotton for a long lasting fit. Includes a themed design, perfect for fans..